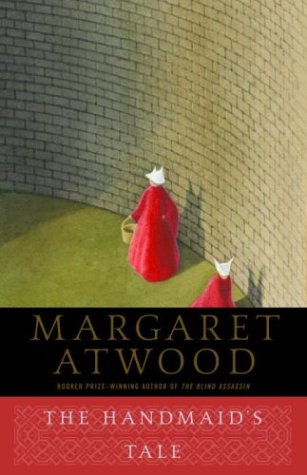 The Handmaid's Tale by Canadian author Margaret Atwood is a classic dystopian novel that some of you may have already read from school. The first time I read this book was years ago, but I always enjoy revisiting a story as good books are like slipping on a comfy bathrobe and settling down for a nap. This novel follows the narrative of an unnamed woman living in a near future theocratic society set in what is present day Maine. The government has been overtaken by an extreme Christian sect who has renamed the new America, "Gilead". Born out of falling birth rates and rising fears, Gileadean society is a strange throwback to puritanical Christian values. Both men and women's lives are highly regimented. For women, you're either a Wife, a Martha (a housemaid), a Jezebel (a prostitute), or a Handmaid (a surrogate womb/slave). Our narrator is the latter and through snippets of her back story and daily observations, the reader pieces together a story that is altogether terrifying in its possibilities and realism. It's definitely obvious that Atwood is making remarks here on the subjugation of women, feminism, of the dangers of religious fervor and chemical pollution on society. It's chilling to read about how the narrator loses her freedom, her family and her sense of self. Stripped even of a name, she stumbles along the line between being a person at all, or just a "vessel". This is objectification of women at its worst and not unfamiliar even in today's world. However, an interesting twist on the story is how Atwood hints at how the so-called revolution was also caused by women, for women. Handmaid training is enforced by zealous Aunts and the narrator's own Wife was an advocate of the revolution and who now bitterly recalls how traditional values trap her at home, sterile in all senses of the word. This book is one that leaves you feeling disturbed and that's a good thing. While the pacing is a little slow at first, the ending leaves you full of questions. It might be good to read this with someone because you'll definitely want to discuss it after!